Tampa Bay Times has named Justine Griffin business reporter covering retail for the newspaper. She currently covers the retail, tourism and restaurant beats as a business reporter for the Sarasota Herald-Tribune and works as assistant projects editor for the newspaper. Prior to this, Griffin served as business reporter for the South Florida Sun-Sentinel and as a staff reporter covering crime and enterprise for the St. Augustine Record. 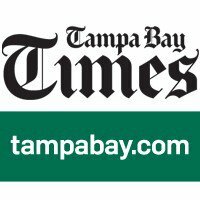 Find local Florida news by following the Tampa Bay Times Twitter and Facebook.